So I guess it’s now autumn and we have to say goodbye to summer (although you wouldn’t know it from today’s 91 degree weather)! With autumn comes some really great things… Pumpkin spice lattes, warm apple pies, spiced cider, Halloween candy… but I would say the fall flavors that I most look forward to are apple and pumpkin. This is my autumn/fall take on a pineapple upside-down cake… a Caramelized Apple & Pumpkin Upside-down cake. 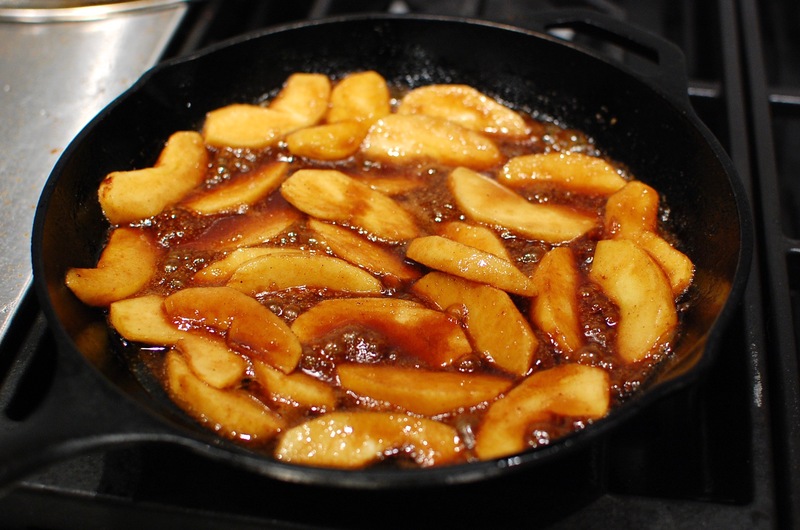 First you caramelize the apple with butter, brown sugar, and spices in a 10 inch cast iron skillet. 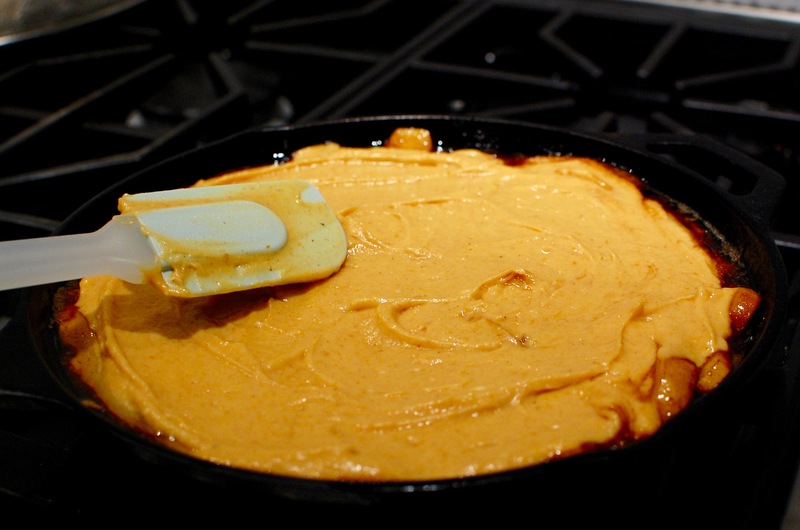 (My favorite is the economical 10″ Lodge cast iron skillet.) 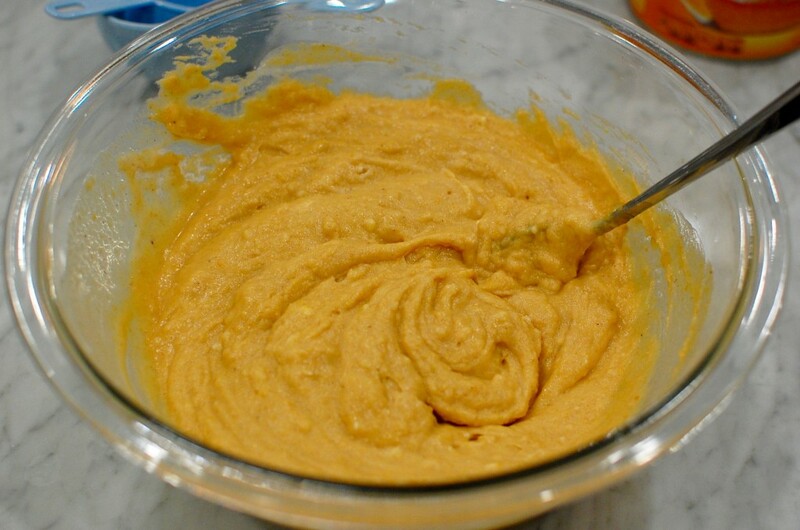 Then, you pour the pumpkin cake batter over the apples and bake until done. 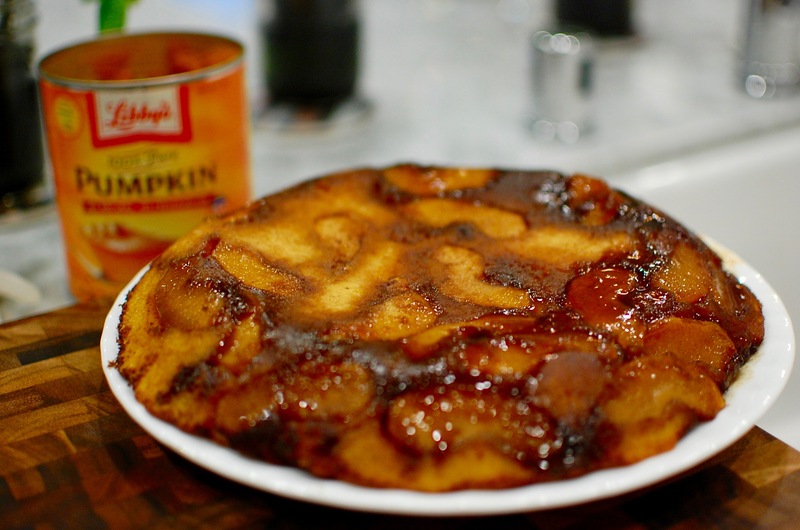 Flip over onto a serving platter, and voila… the perfect warm fall dessert that pairs nicely with vanilla ice cream! 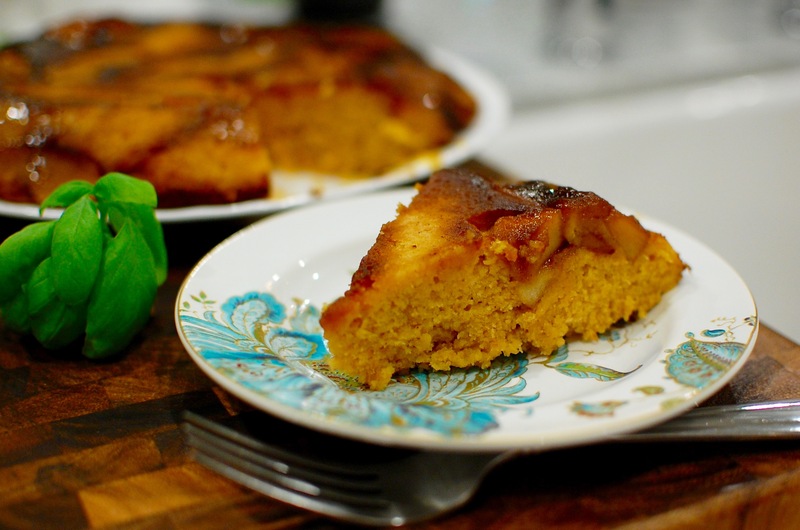 Use a 10" cast iron skillet to make this cake for best results... it can go stovetop to oven! 1. Preheat oven to 350 degrees. 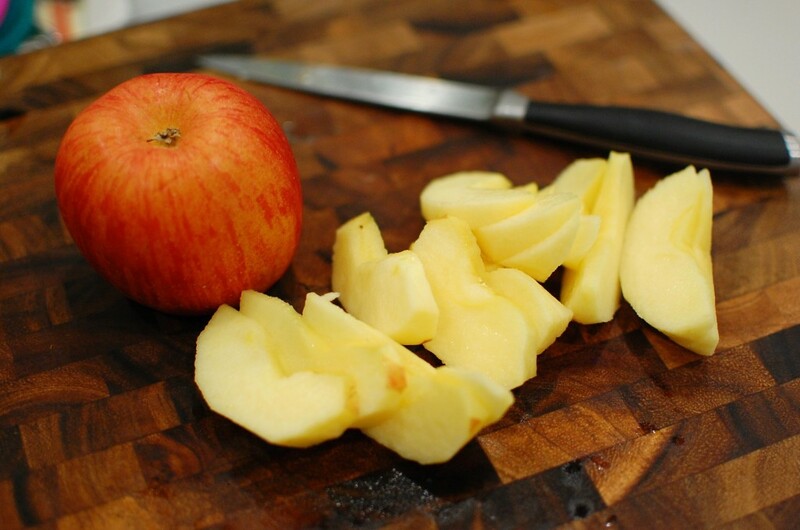 Peel and slice 2 apples into wedges. 3. Saute the apples in the melted butter, mix in the brown sugar and pumpkin pie spice. 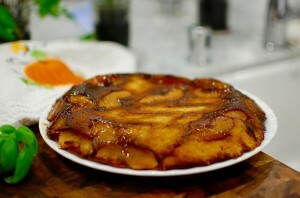 Continue to cook until the apples are caramelized to your liking (for me about 5-10 minutes). Turn off the heat, then set aside. 4. 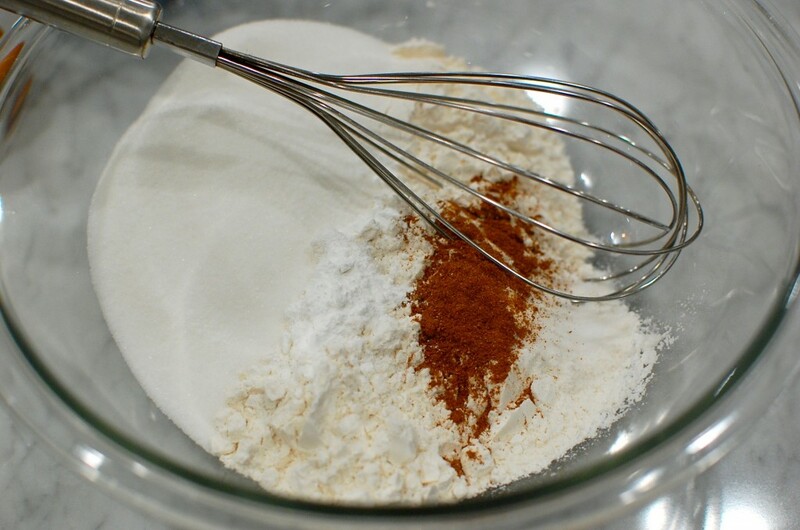 Sift the flour, sugar, baking powder, salt, and pumpkin pie spice in a mixing bowl. 5. Mix the pumpkin puree, vanilla, milk, melted butter, and egg. 6. 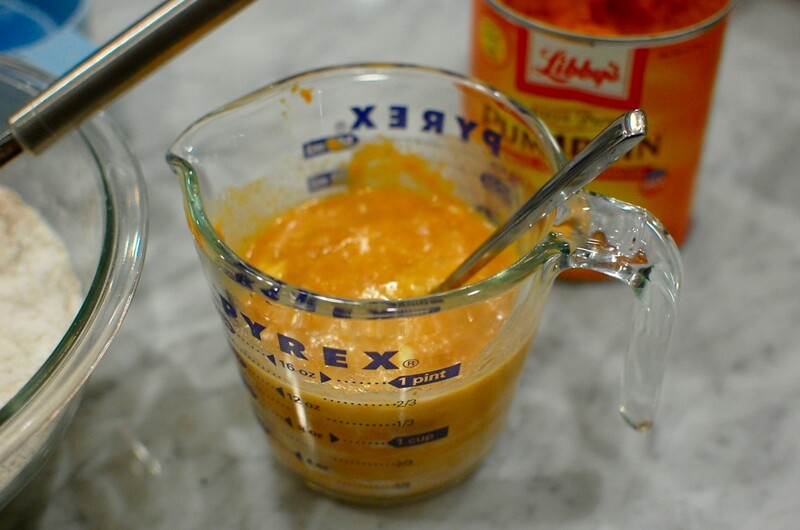 Pour the pumpkin mixture into the flour mixture, and stir until combined. 7. 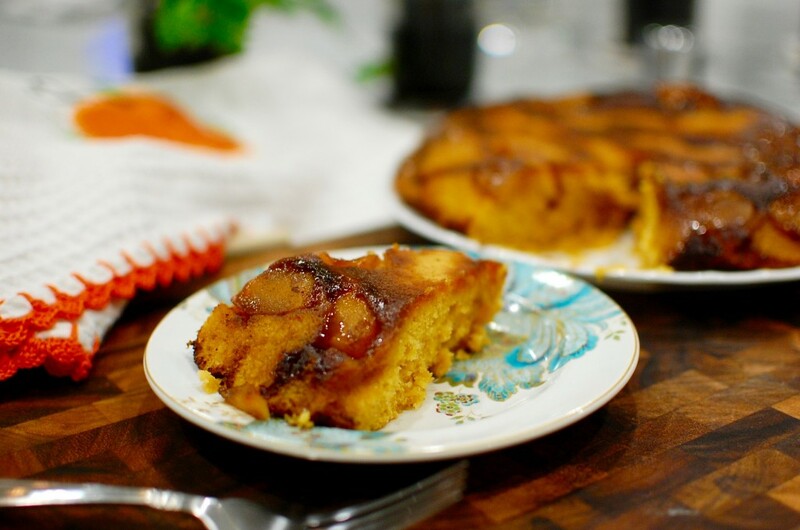 Pour the pumpkin cake batter over the caramelized apples in the cast iron pan. Use a spatula to evenly spread the batter over the top of the apples. 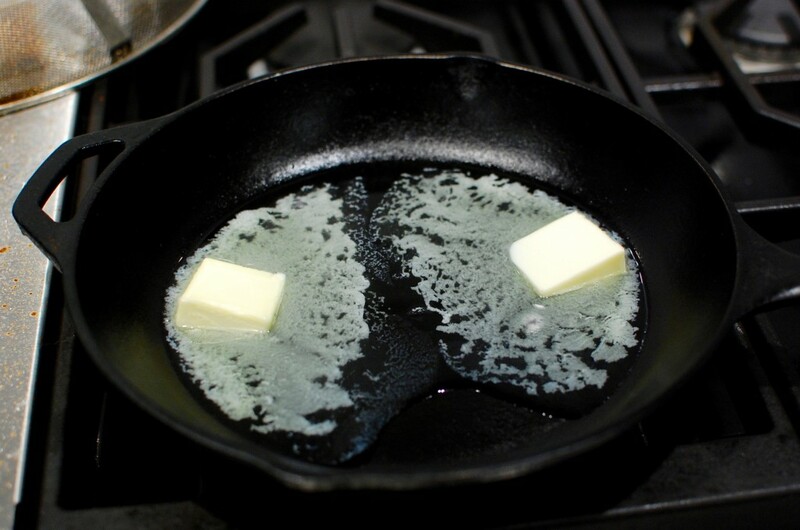 The batter will be a little thick. 8. Bake at 350 degrees for about 25-30 minutes until the cake is done. 9. 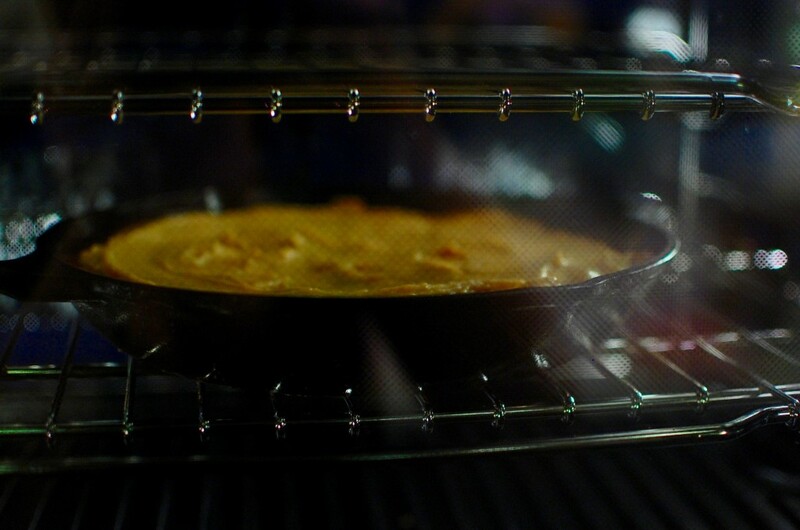 Remove from the oven and allow to cool for 10 minutes before inverting onto a plate.